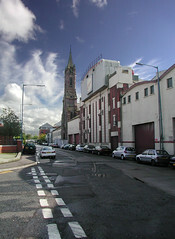 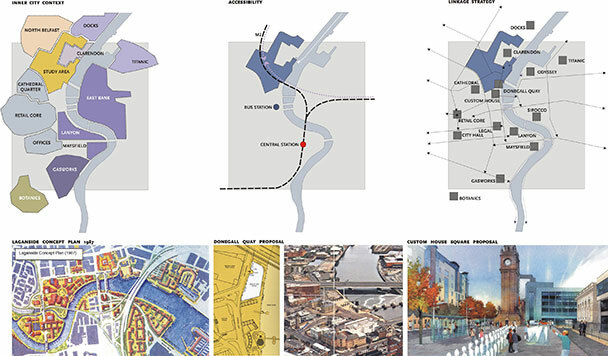 Faber Maunsell, including Douglas Wheeler Associates, Willie Miller Urban Design, Manogue Architects and Mackel & Doherty Architects were commissioned by Laganside Corporation and Belfast Harbour Commissioners to prepare an urban design framework for the Greater Clarendon, Tomb Street and Little Italy area of Belfast. 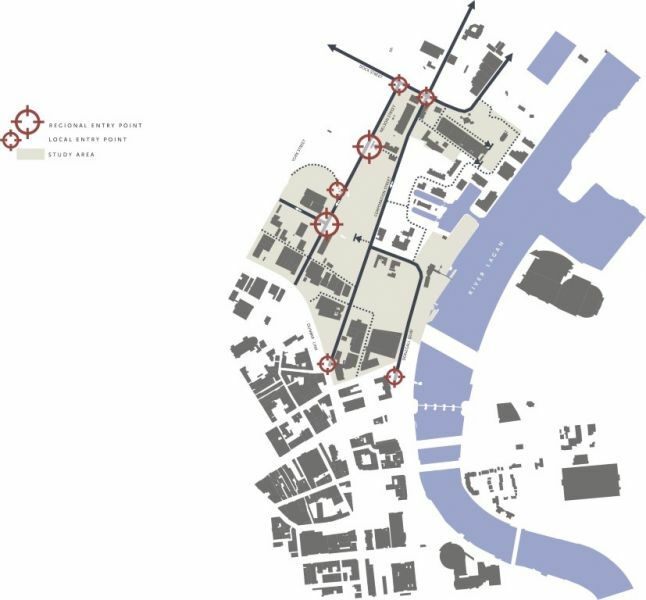 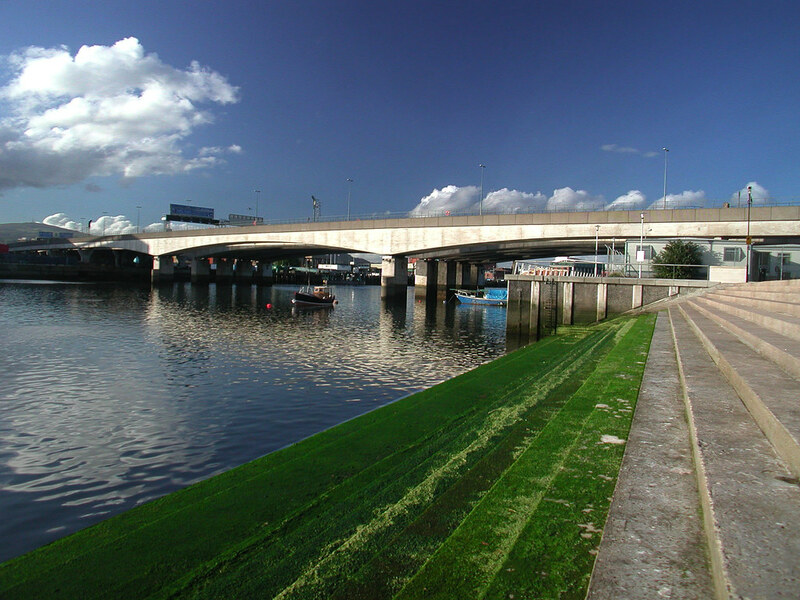 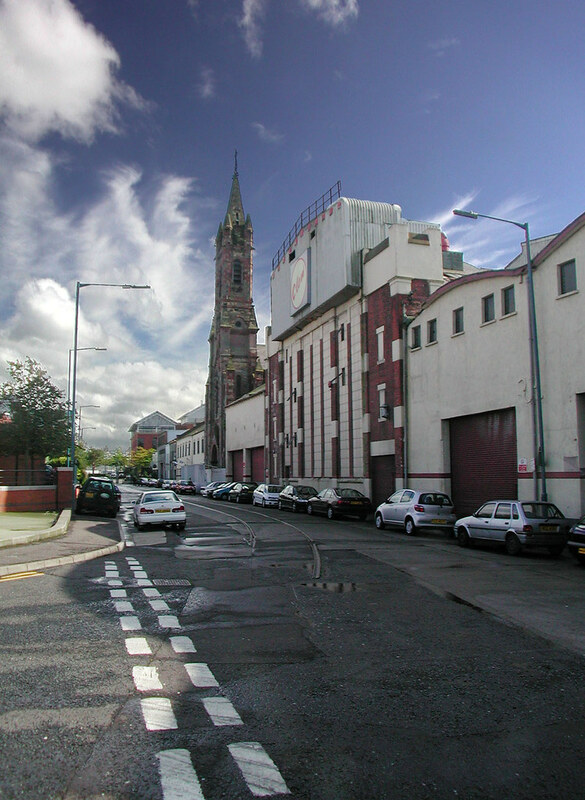 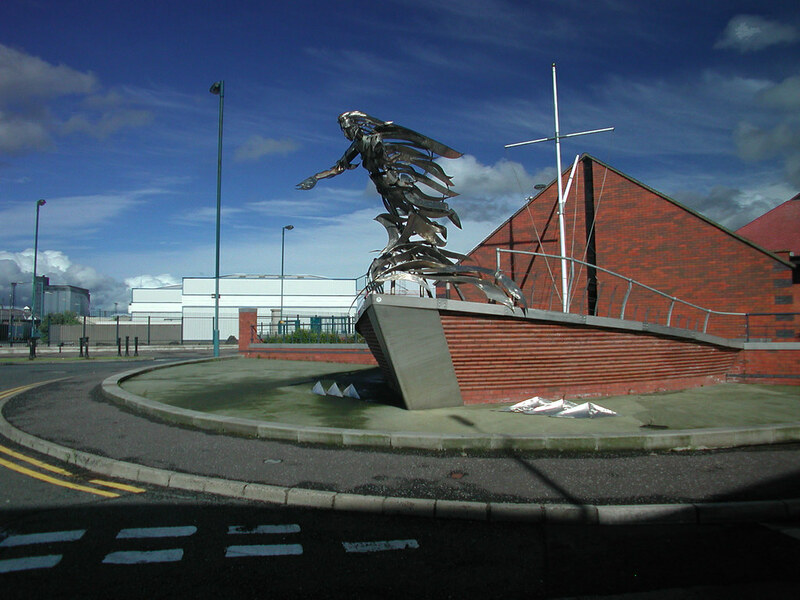 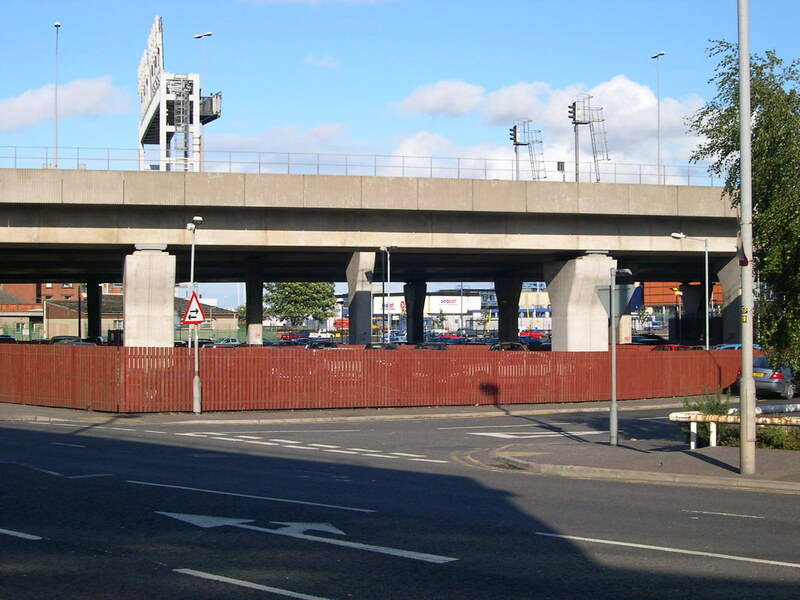 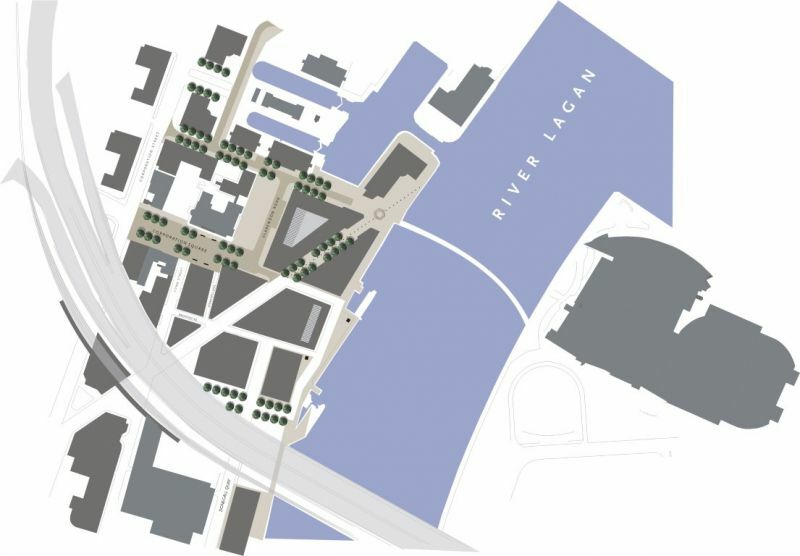 This commission is part of a term contract with Laganside Corporation to provide urban regeneration, architecture, urban design and traffic management consultancy services. 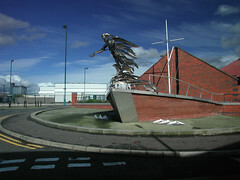 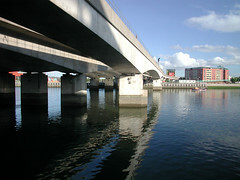 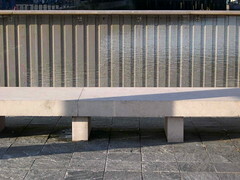 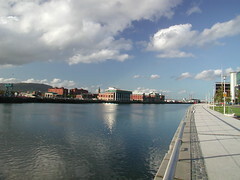 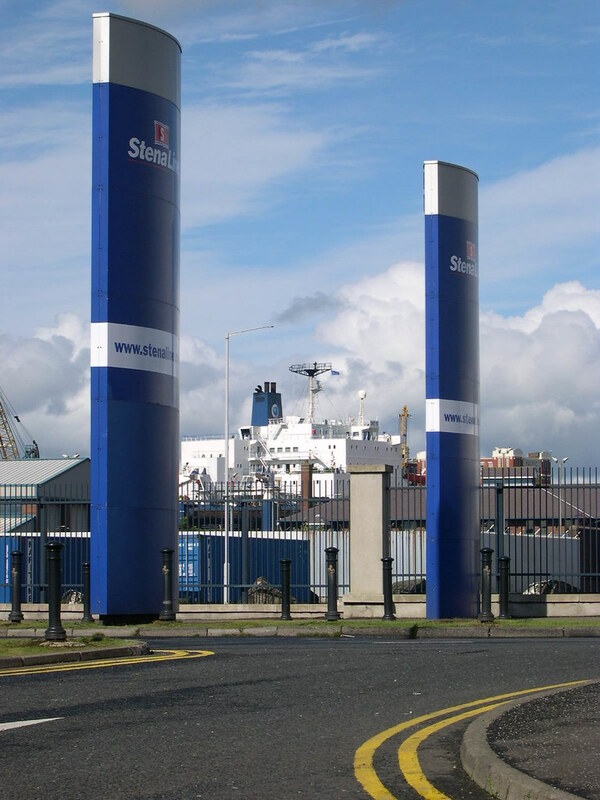 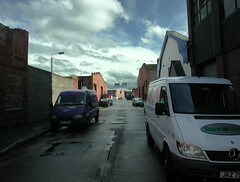 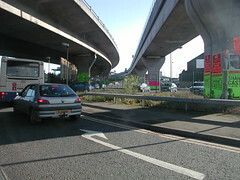 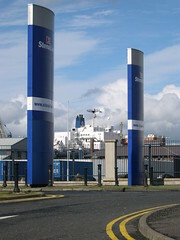 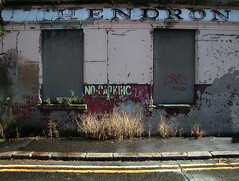 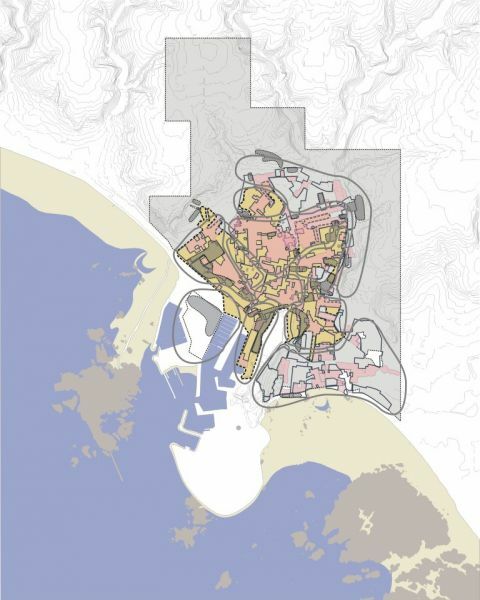 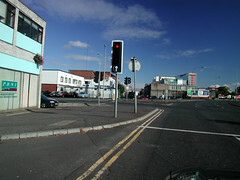 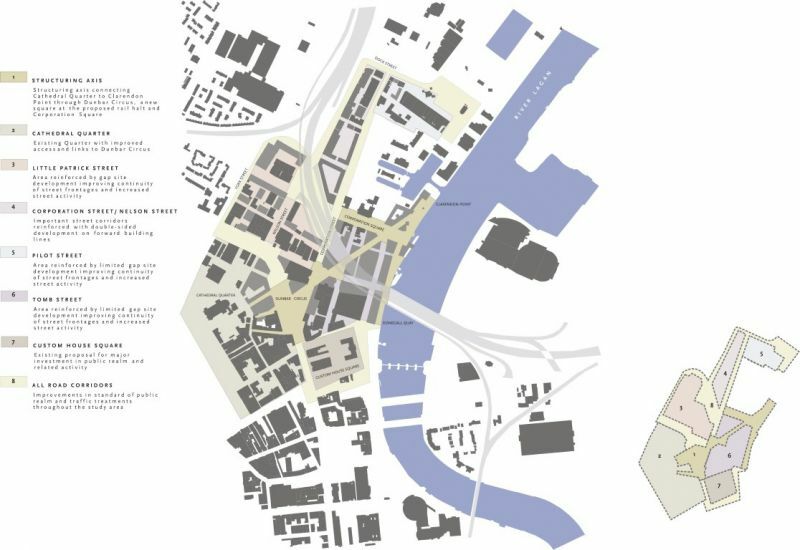 The Terms of Reference highlight the main aim of the Urban Design Framework as being to guide and illustrate how design and other policies and principles should be implemented within the study area to create a sustainable, imaginative, appealing, distinctive and dramatically modern gateway to Belfast. 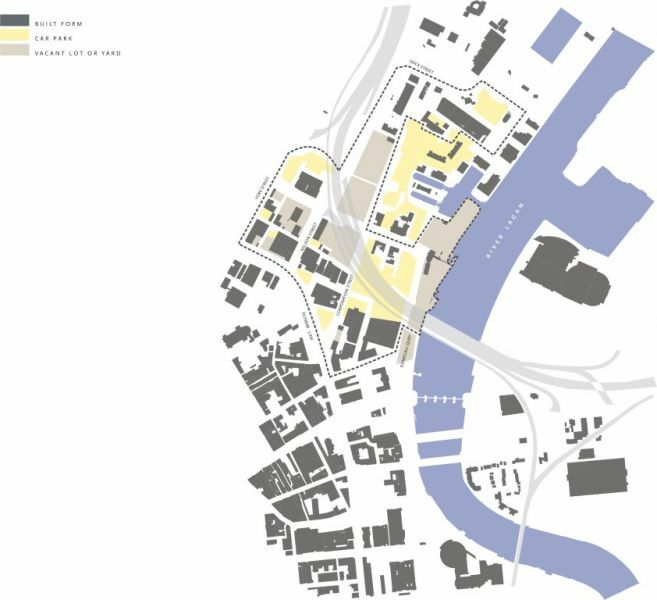 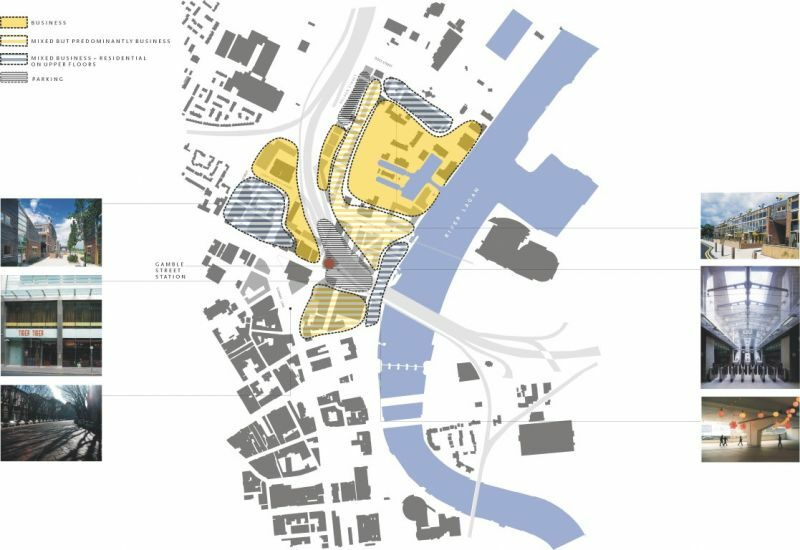 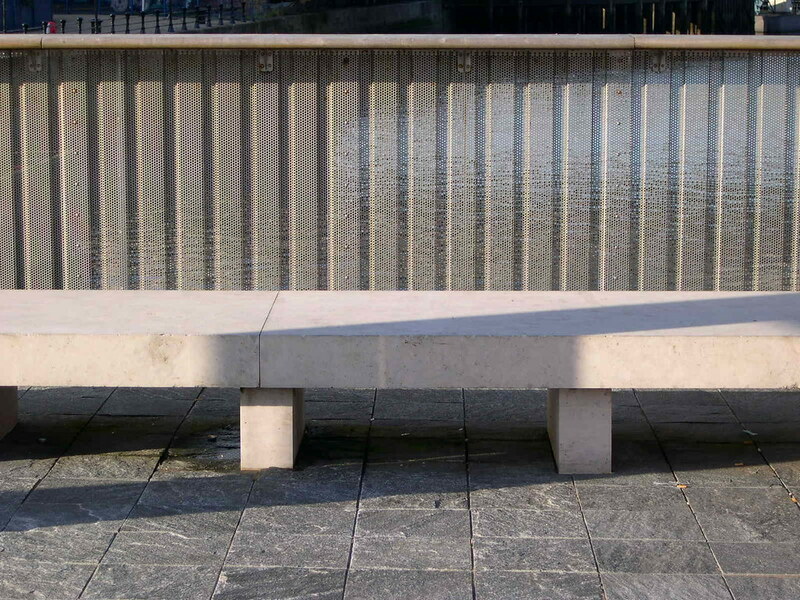 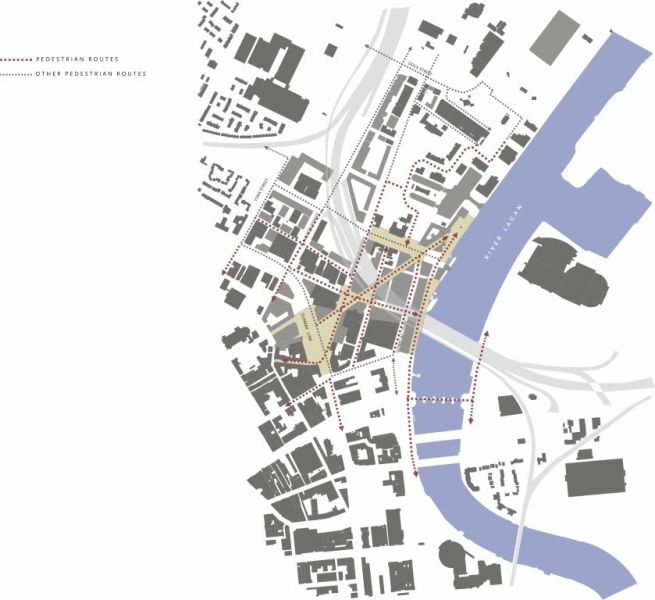 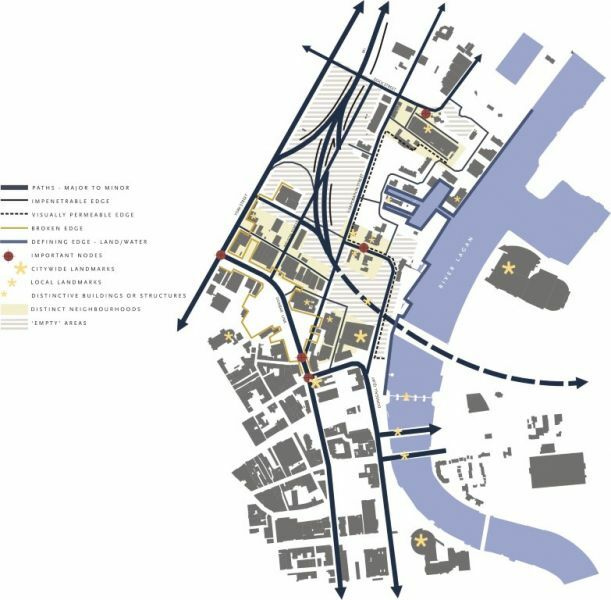 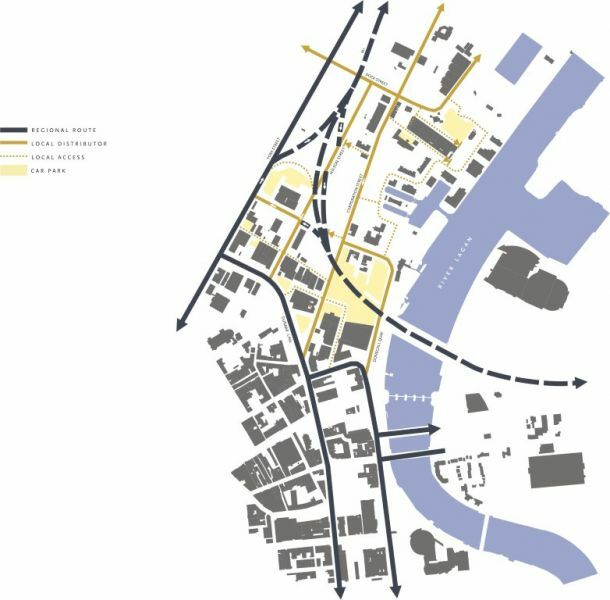 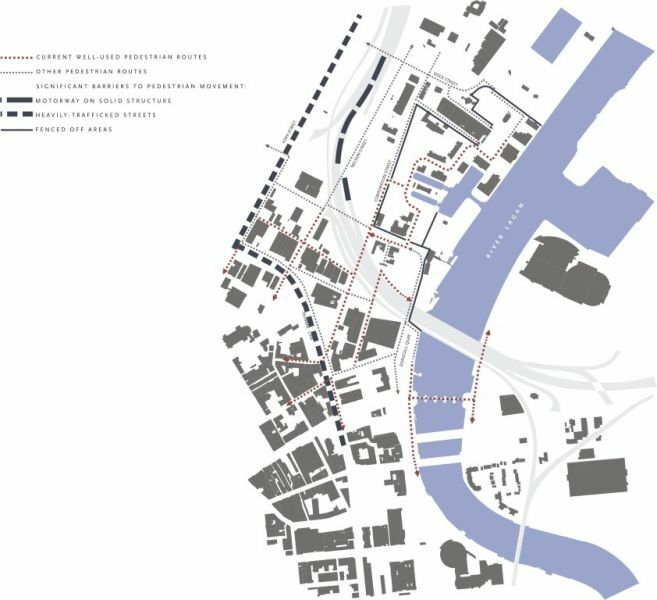 Linkages and Movement: There is a particular need to reconnect the area with the adjoining city centre and Cathedral Quarter as well as to establish improved waterfront links and a more comfortable pedestrian environment. 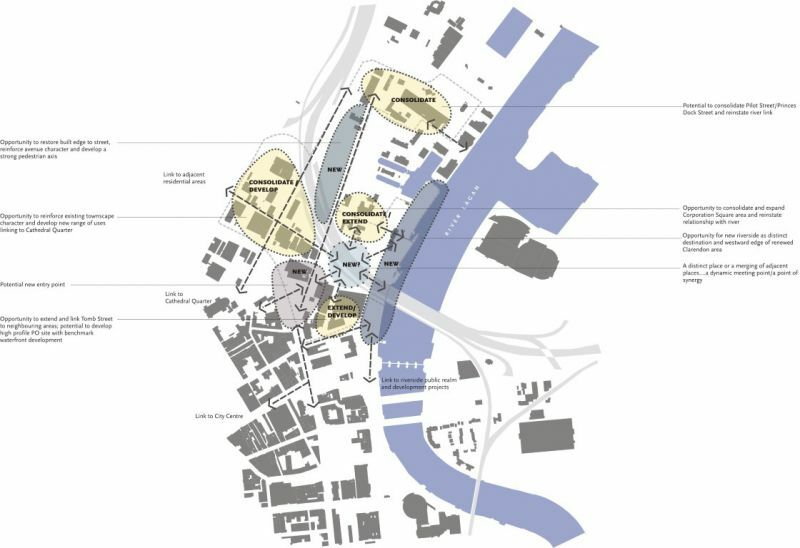 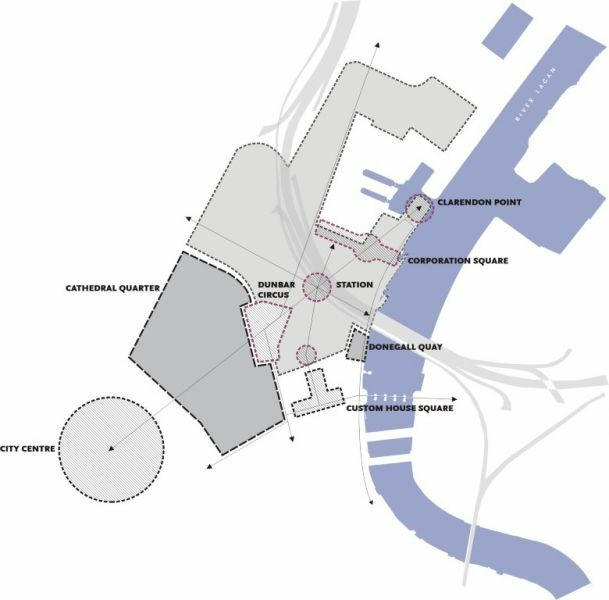 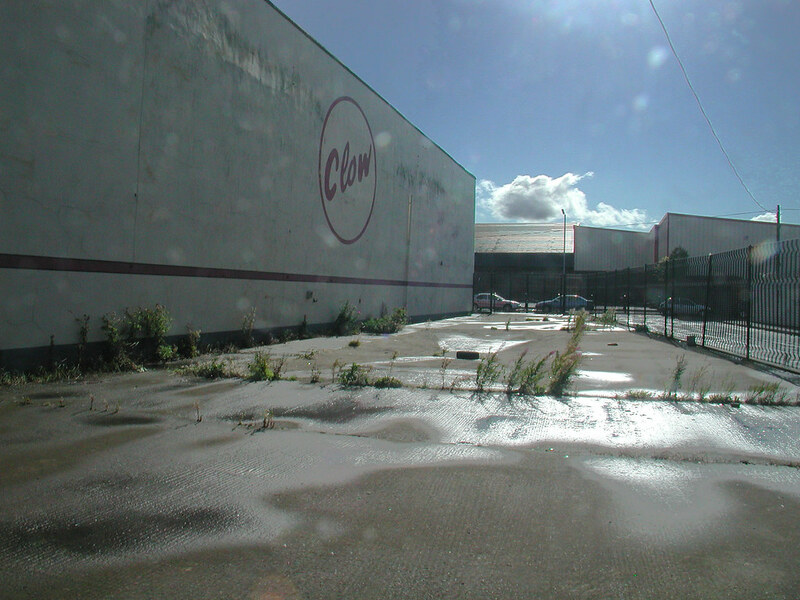 The proposals are therefore structured to maximise connectivity by forging new links, particularly by means of a new axis running from Clarendon Point to the proposed Dunbar Circus as well as through reinforcement of existing links within the study area. 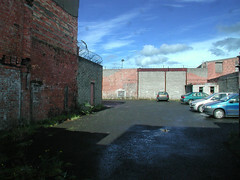 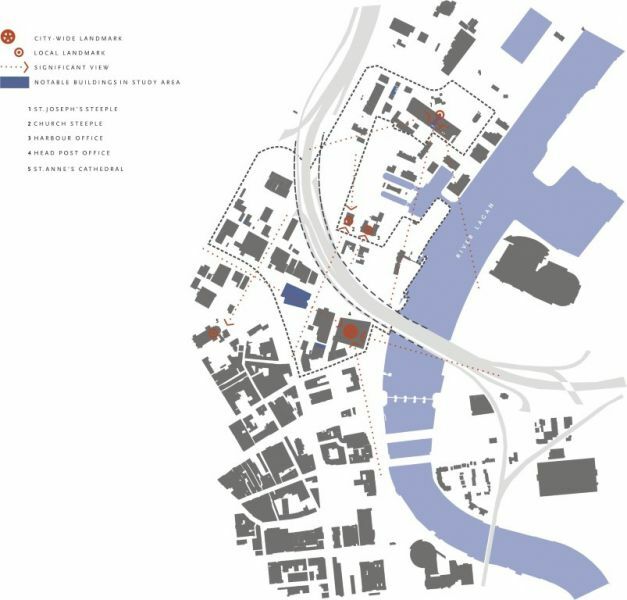 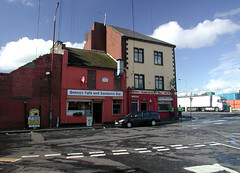 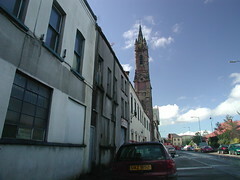 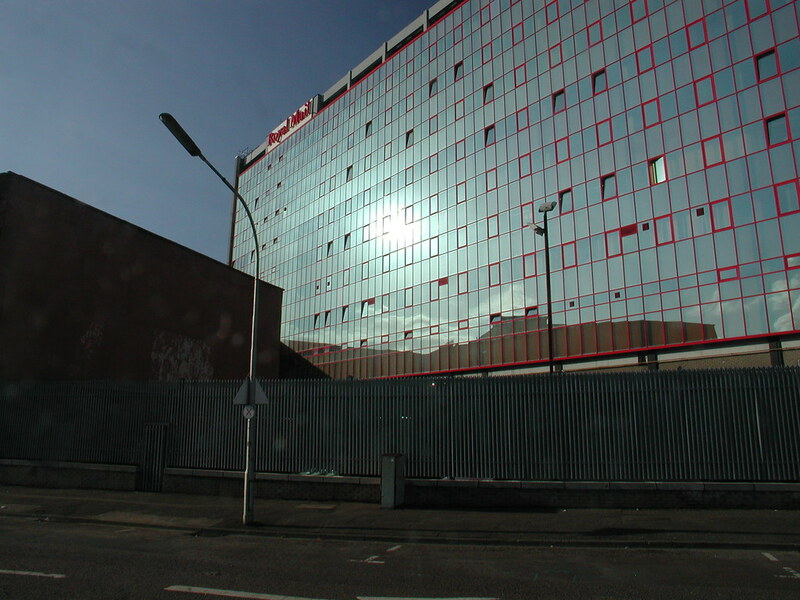 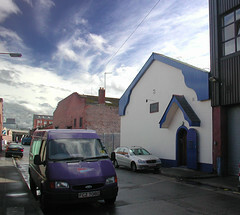 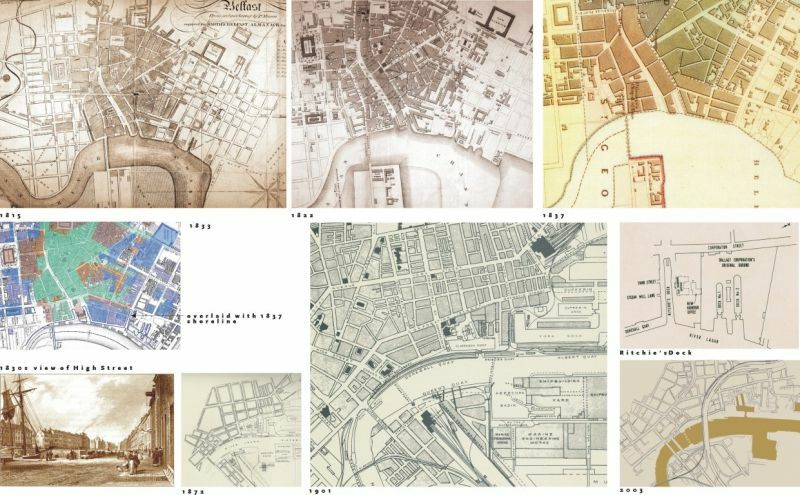 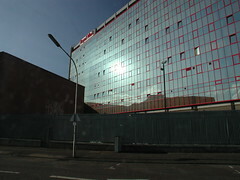 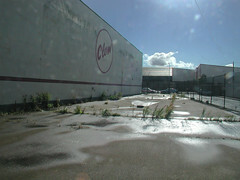 Working with Existing Assets: The framework retains – where possible – many buildings dating back to the 19th century as well as more recent structures. 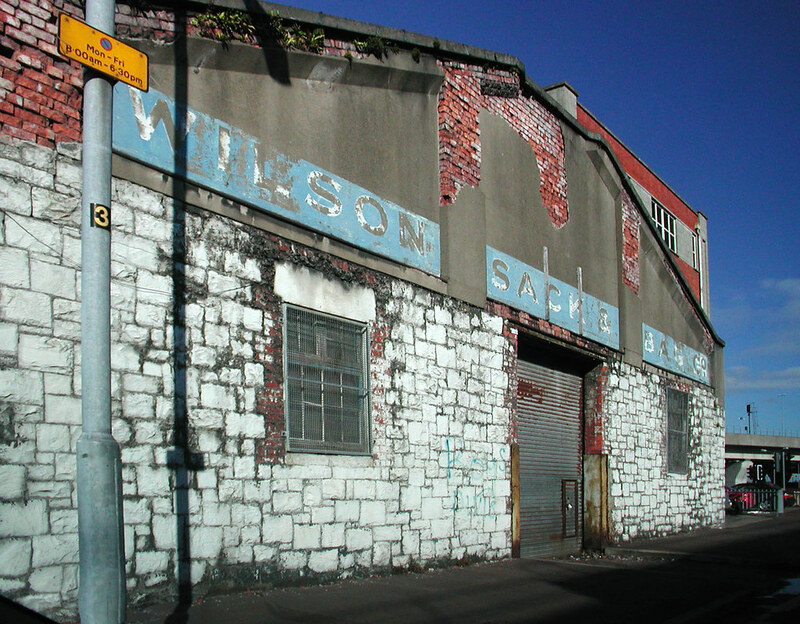 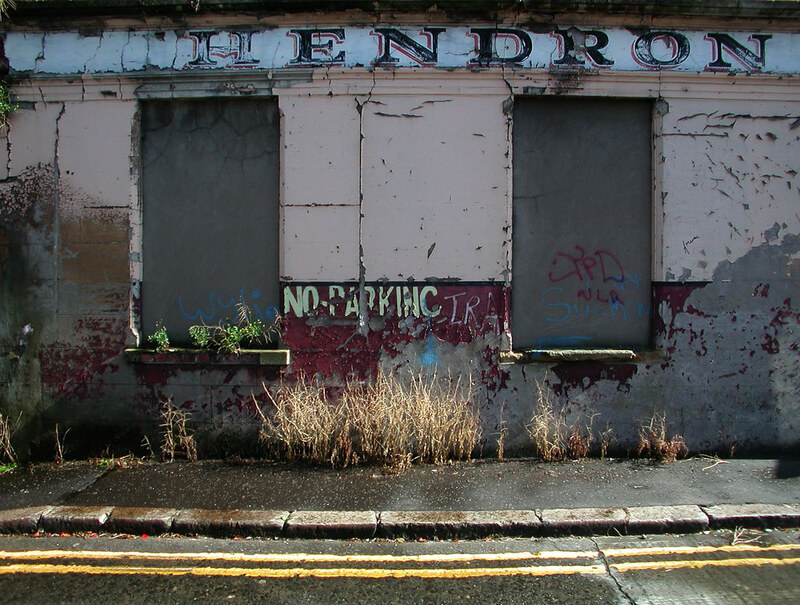 These retained buildings add to the richness and history of the street scene although few of them individually are of outstanding architectural interest. 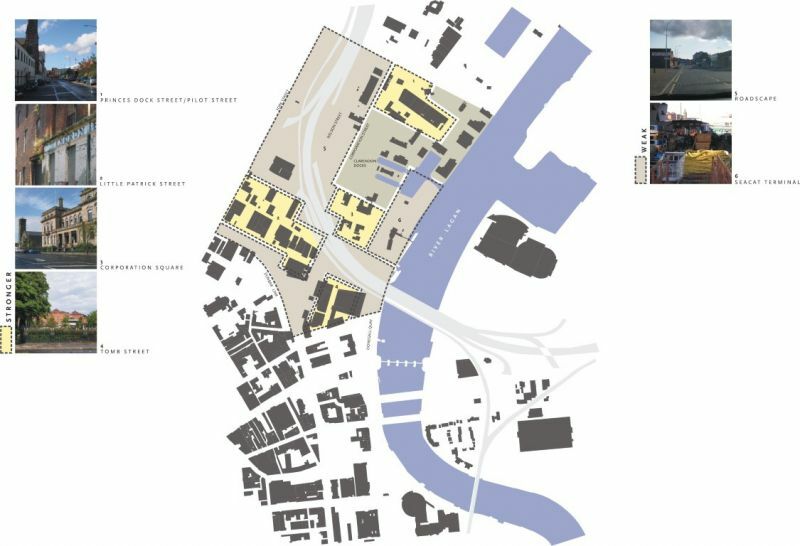 Grain and Character: Re-establishing a cohesive pattern of streets, footpaths and frontages is a key principle in returning the area to a dense urban environment in which a variety of uses thrive, ensuring 18 hour activity and a less threatening pedestrian environment. 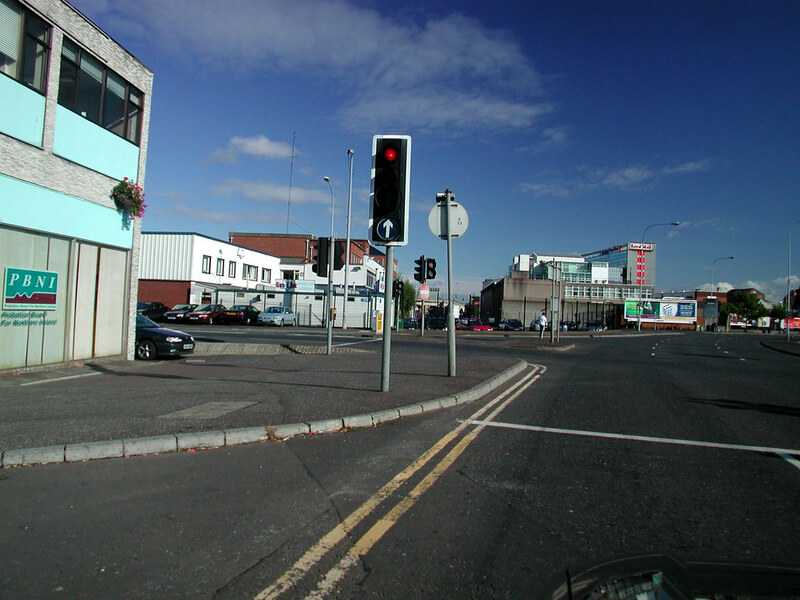 The grain of the area should be easily understood by pedestrians. 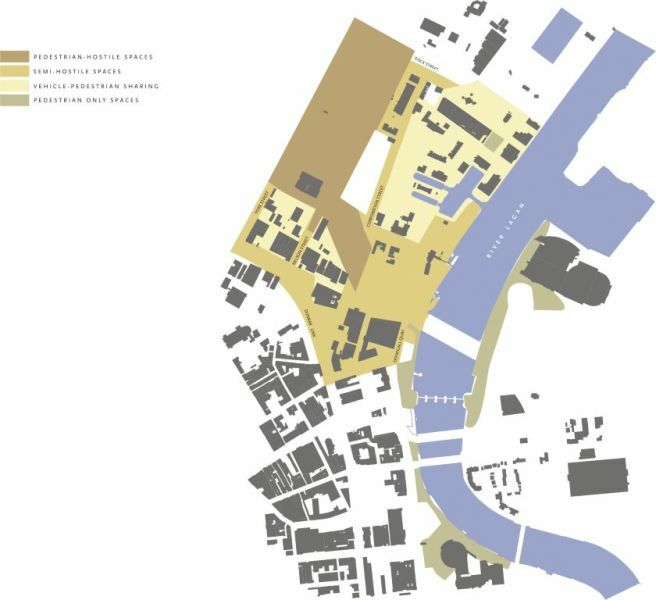 Densities and Form: The framework should set out a 3-dimensional structure for the area that accommodates anticipated floorspace requirements while creating a memorable urban form which fits the character of the study area and which harmonises with adjacent developments old and new. 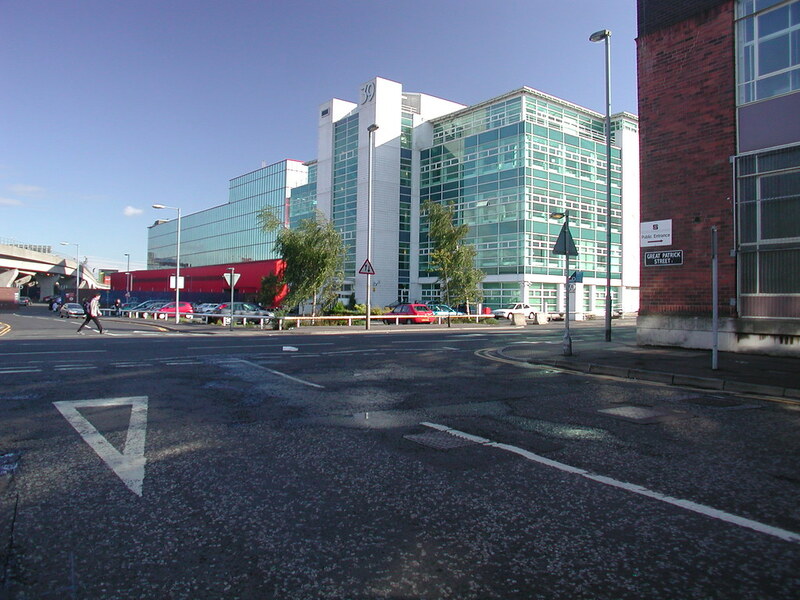 Four storey building is a minimum requirement but in particular areas, for example with iconic buildings on prominent sites, development could rise to 10-12 storeys. Landmarks and Focal Points: In order to increase legibility and way finding, the framework should identify spaces that will become focal points or sites where landmark structures can be developed. 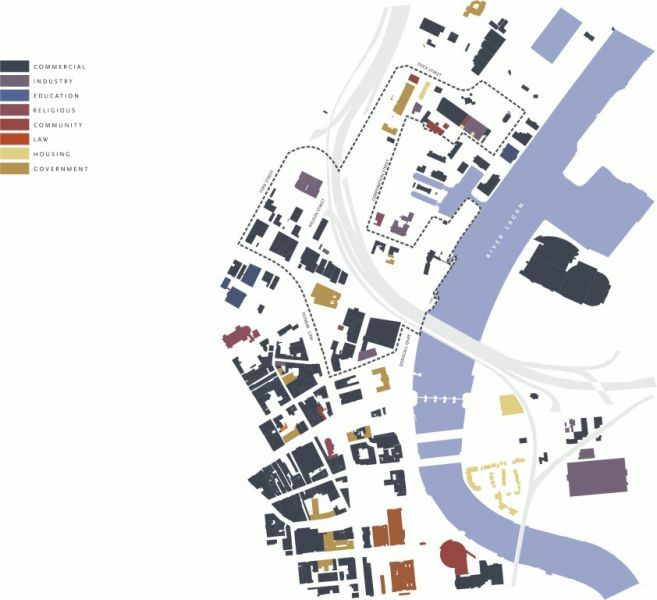 People and Activity: The need to create spaces in which people can feel comfortable or where they can linger is an important component of the framework. 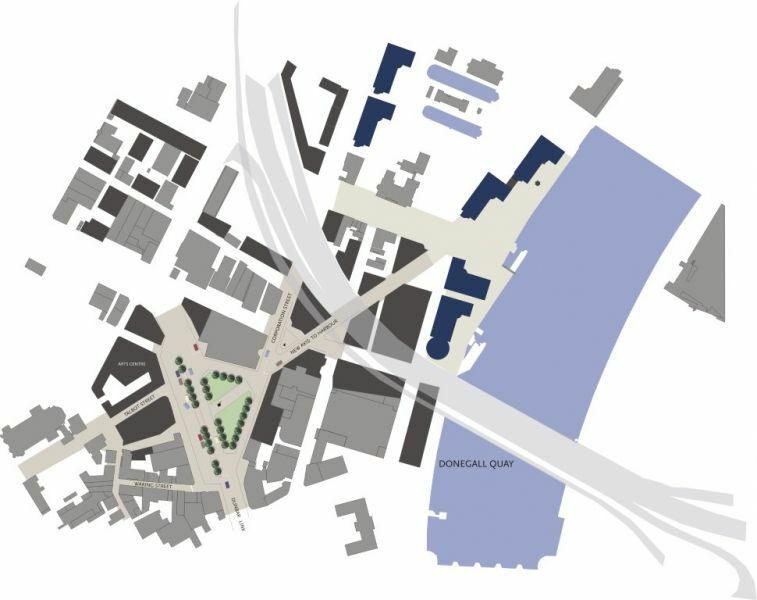 At the present time the area is distinctly unfriendly to the pedestrian and this requires to be addressed through a blend of ameliorating traffic intrusion, expanding opportunities for public realm enhancement and establishing space for active frontages in new development proposals.